By Nicholas V. Steiner, M.D. 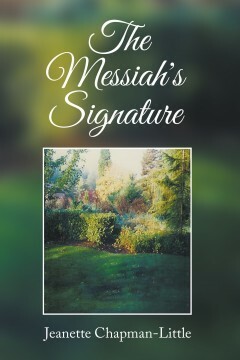 Nicholas Steiner is a German-born octogenarian, retired physician, Stage IV cancer survivor and author of several memoirs. His career as a photographer began in 1950 when at age 15 he was sent to France with instructions how to use his newly acquired Ansco Speedex. Some black and white photos from that era remain among his favorites! 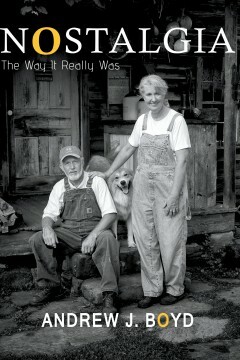 Decades later, he switched from SLR cameras to the digital format and more recently to an iPhone. Steiner is amazed by the quality of images that technologic advances allow but misses his 35mm lens and what is best rendered in black and white. A resident of Bradenton, Florida. Andrew studied under Eastman Kodak Company for lighting, film manufacture and development. He started a career in photography during the late 1950’s doing commercial and advertising photography for Cleveland and New York ad agencies. He was one of the first photographers in the Cleveland area to present full-color commercial work. Taking a long break from photography he worked as an engineer before returning to photojournalistic work for several magazines. Andrew has authored 15 books during his career, several on digital photography. This book “Nostalgia _ The Way it Really Was” captures not only the essence of how America was during the golden period of discovery and development in the country but the ability of photography to record these exciting events and keep them sacred for future generations. Starting in the late 1950’s the author began his career in photography becoming one of the first in the Cleveland area to present commercial work in full color. He left his business to concentrate on engineering for a period of years returning to photojournal work for several magazines. Over the course of his career in photography the author has photographed hundreds of women for photostories, commercial assignments and for his books on photographic art. This book demonstrates his style and his approach to glamour in photographic expression of women. A picture book loaded with wonderful images of beautiful women giving the aspiring photographer a brief written guide throughout the pages. 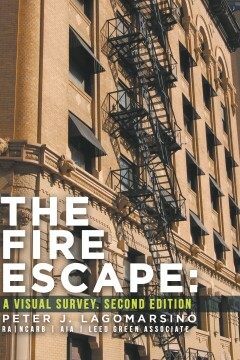 In this second edition of the book, The Fire Escape, A Visual Survey, shows the physical urbanity and human condition of the forms of the cities and its fire escapes from twenty five cities/urban areas in all four corners of America. Specifically, it is a survey of an architectural component which was mostly an afterthought. The Fire Escape shows the art that was created as a result urban leaders placing more value on their own profit in the creation of buildings, than the lives of the many workers or occupants inside their capitalist machines, leaving legislators to come to the rescue with an external solution. This iconic form is glorified with scenes in movies, but their everyday existence is to hang there as lonely as the wealthy industrialist’s that initially omitted them. They speak of being our savior in an impending doom, and do so in shadows of light and mirrored reflections seen in complex overlapping Cartesian coordinates. 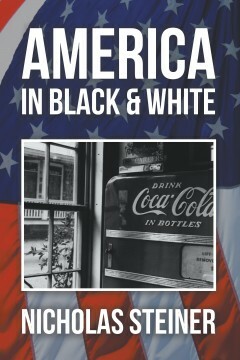 This book shows the beauty of a dying and unique American architecture. The images highlight the fire escape as eerily frozen in time, like they are from a cold war East Berlin, waiting for their removal by a follow on urban renewal that may never come. Their increasing protection due to evolving civic affection for their role in our lives gives them cultural importance. And yet very few architectural forms exhibit this much soliloquy of repetition and rhythm that is so involved with the hieratic form of a life safety function. Function followed form here as expected, but they are ironic and speak of the human condition waiting for us to go down to our eventual end. They hang there like a hovering death eater or a cemetery we pass on the way to work reminding us of the frailty of human life and the inevitable last journey to a final destination that we all must face. Peter Lagomarsino a Senior Architect that has practiced Architecture for over twenty four years. He’s the author of “Confessions in a Crown Vic” a critique of the American “Dream” and the story of what really happened in development this last century. He is an avid photographer of architecture with over thirty six years been behind the camera. He also paints acrylic on canvas for art sales and commissioned work. He has Bachelors of Arts in Architecture from the University of New Mexico, a Masters of Architecture from Clemson University and is LEED Accredited. Part of his Masters, was at the Charles E. Daniels Center for Urban Design at Clemson’s Villa in Genoa Italy where he traveled extensively in Europe, Greece, and the Middle East capturing over six thousand images on slide medium.